What’s the attraction of attending a bluegrass festival, or any other kind of music festival? During the now nearly 20 years that my wife and I have participated in the world of bluegrass, we’ve attended house concerts, indoor events, small one-day festivals held in an open field under a tent, multiday immersions with a dozen or more bands, and a large multiday extravaganza with more than a dozen stages attracting around 20,000 people a day. The content has been almost exclusively bluegrass, Americana, and country music, a wider swath than many people care to navigate. 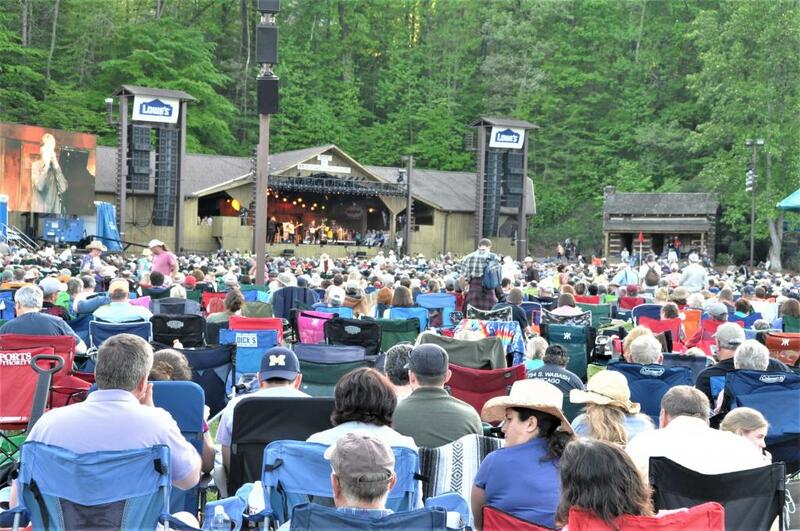 We attended MerleFest for 10 years, until we found the ground we had to cover to see the bands we wished to see was becoming more than we could handle. We still miss being there, even when we know it will certainly rain at least one day and be really cold one late evening at the main Watson Stage. A major element making music festivals attractive to us has been the sense that we’ve joined a community of music lovers whose appreciation for the music transcends other issues that might otherwise separate them. Bluegrass music is a largely conservative music that has always relied heavily on nostalgia for a glowing hazy era of rural living that may never have existed. Songs of hard work, jail, murder, lost love, and leaving home to make a living abound. 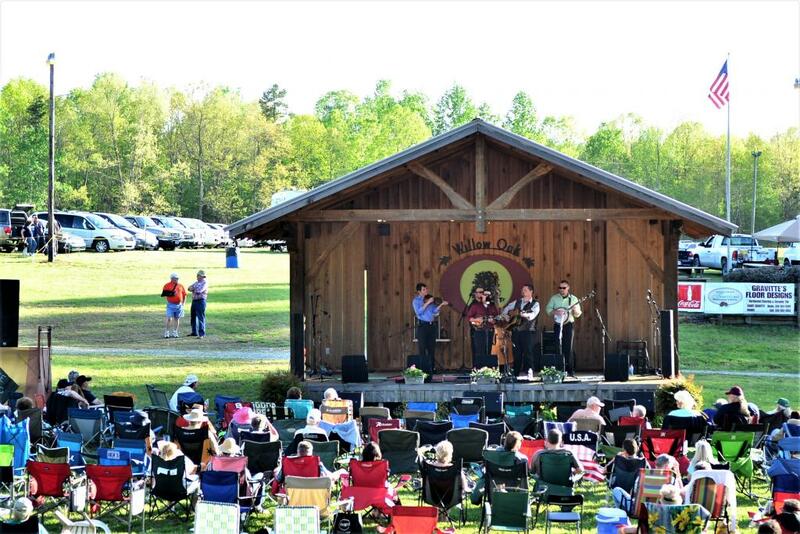 Nevertheless, the world of bluegrass festivals is relatively politics-free. Even though bluegrass music relies heavily on the musical contributions of African Americans, it remains largely white, despite the fact that the banjo came to America from Africa, along with slavery. People from a wide range of social, educational, and economic backgrounds come together at bluegrass festivals to assert a shared love of a roughly agreed upon genre, with a surprising number who not only listen, but play and perform themselves. A significant portion of those attending festivals rarely show up at the main stage to watch a performance. Rather, they gather in small jam groups around the campground to share their own music. Many of the jammers are at or near stage quality, while others, after some exposure to the music, have just recently begun to play. Pete Wernick, known as Dr. Banjo, a founding member of the band Hot Rize, has conducted “Jam Camps” around the country for over 20 years. Recently, he has licensed others to teach jamming at festivals and other venues. Indeed, the popularity of jamming seems to be one of the factors influencing efforts to keep the entry price of festivals low — some people are attracted to the jams, not necessarily the headliners, but they still want to be there. Bluegrass festivals remain a truly inexpensive way to experience a lot of excellent music in a warm, welcoming environment where you make your own choices about how deeply to involve yourself. 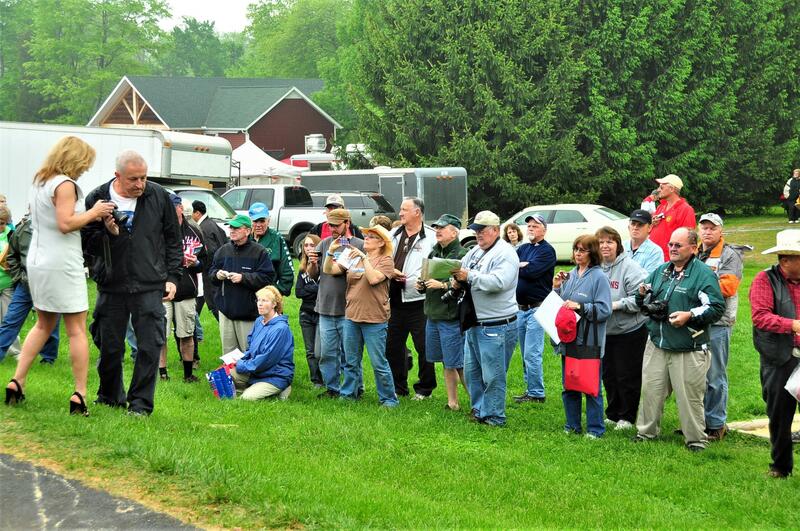 A large portion of attendees come for the entire three or four days of the festival, providing their own lodging in anything from 40-foot motorhomes to small tents. Many festivals provide water and electric hookups, while a few include sewers. For those sleeping in tents or small campers, so-called “rough” camping is usually free or nearly so. Hookups might add a fee of $25 a night or so to the cost. A ticket for a three-day festival might range from $70 to $100, while large four-day festivals might run to as much as $450 or more, and with VIP reserved seats and amenities can exceed $1000. Nevertheless, bargain hunters can easily find festivals where they can enjoy five bands a day, each playing two sets, for a total cost well within their budget. Bluegrass musicians, even quite famous ones, are remarkably accessible to fans. While the economics of the music business has ended the days of bands coming to a festival, staying all three days, and spending their off time going to campsites to jam, eat, and drink with their fans, they still come out to their merchandise tables to chat, greet old friends, and sell their wares. Rhonda Vincent, known as the Queen of Bluegrass, stays at her merch table until every fan who wishes to have a chat with her has been satisfied. Her ability to accomplish this has become a major part of her success, along with her musical excellence. One of the greatest experiences of attending festivals is the surprises. Musicians from several bands may be hanging around backstage, and they will often be asked to come on stage to join the performing band for a few minutes in a jam. At this year’s Sertoma Bluegrass Festival, held at the Sertoma Youth Ranch near Brooksville, Florida, Balsam Range closed the festival with a terrific set, earning a standing ovation and an encore, for which they chose to sing an Allman Brothers song (“One Way Out”). Backstage were two of the finest guitar players in music, Zeb Snyder and Darrell Webb. Watch as each comes on stage to add to the fun, as a fine festival ended with a joyous jam.